Four skyscrapers in the Africa and Middle East macro-region have been nominated by the CTBUH for the distinction of Best Tall Building Middle East & Africa 2018. The prizes for the best skyscrapers awarded by the Council on Tall Buildings and Urban Habitat (CTBUH) break down the world into four geographic macro-regions. 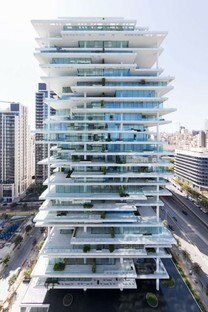 In the Africa and Middle East region, CTBUH has nominated four skyscrapers completed in 2017 as Best Tall Building Middle East & Africa 2018: Beirut Terraces by Herzog & de Meuron in Lebanon, Azrieli Sarona Tower by Moshe Tzur Architects and Town Planners and Rothschild Tower by Richard Meier & Partners Architects in Tel Aviv, Israel, and Zeitz MOCAA by Heatherwick Studio and William Littlejohn-Philip in Cape Town, South Africa. The winner in the macro-region will be announced on May 31 in Chicago, at the first annual Tall + Urban Innovation conference, where "2018 Best Tall Building Worldwide" will also be presented. 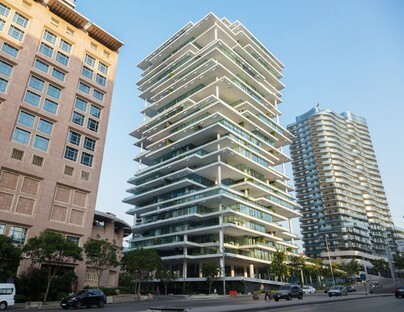 Herzog & De Meuron’s Beirut Terraces is a 25-floor residential building 110 m tall, on the waterfront in one of the city’s most prestigious neighbourhoods. 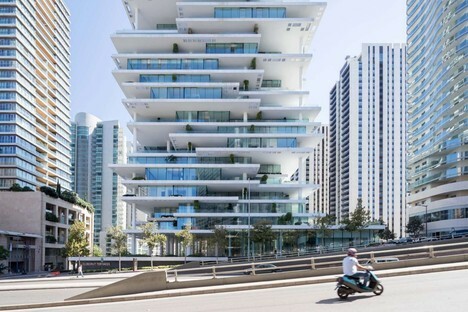 The architects designed a building offering a new interpretation of the relationship between indoors and outdoors, inspired by the city’s stratified history, introducing the concept of the "vertical village". 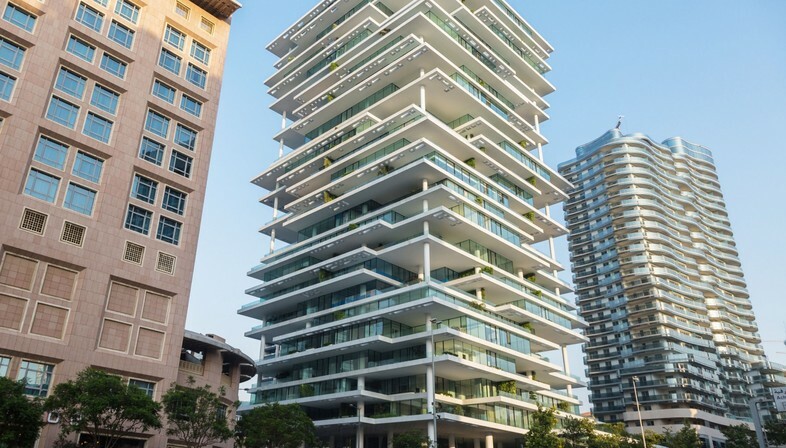 The building’s outstanding feature is the fact that it is a layered volume. The living rooms in the apartments are set forward or back to form patios and projections, creating lights and shadows on the walls of the building and giving each apartment a unique layout. The architects have created 5 modular floors, repeated in different combinations throughout the building’s entire height. 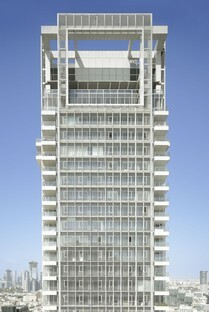 The building has a strong core and a weight-bearing structure composed of a regular grid of columns. The dividing walls in the apartments do not serve a structural function, making the layout flexible and easy to modify in response to future needs. 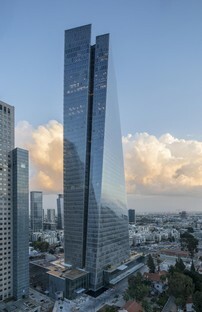 Azrieli Sarona Tower by Moshe Tzur Architects and Town Planners is one of the tallest buildings in Israel, and definitely the country’s first building to twist slightly as it rises. 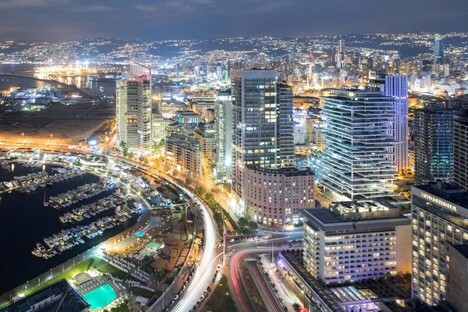 The architects have designed a majestic, balanced skyscraper that fits harmoniously into its urban surroundings, becoming a landmark on the city skyline and an iconic building for the Azrieli Group, which commissioned its construction. The slight twist as the building rises and its volumetric composition give the building a dynamic, delicate look despite its imposing size. 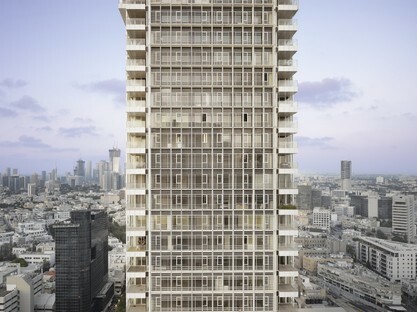 Richard Meier & Partners Architects designed Rothschild Tower in Tel Aviv’s White City, a Unesco World Heritage Site. 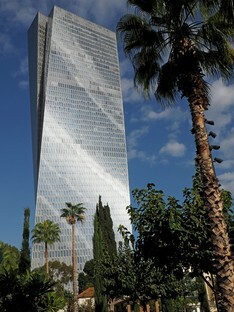 This 42 storey skyscraper is a residential tower with a shopping centre on the ground floor, built according to the principles of the Bauhaus. 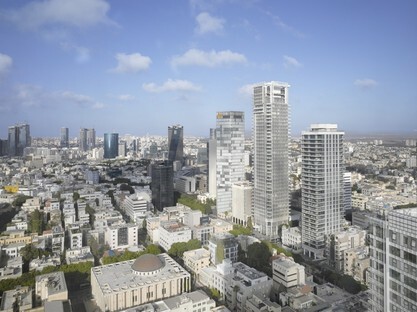 The White City contains more than 4000 buildings built in the Bauhaus or International Style in the 1930s by German Jewish architects who emigrated to Tel Aviv. The ground floor is made visually permeable by big clear windows inviting the public into the shopping centre. The design of the residential units on the upper levels ensures the constant presence of natural light and panoramic views over the sea. 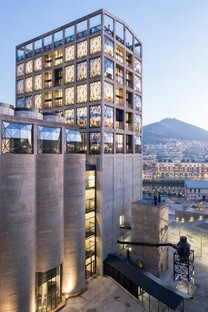 Zeitz MOCAA in Cape Town has a completely different function from the other three skyscrapers we have looked at. 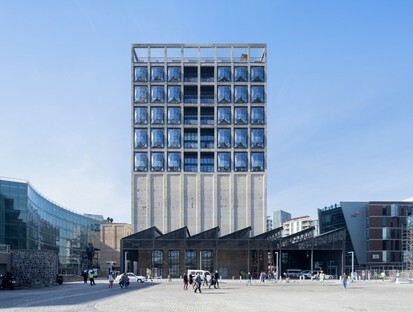 Architect Thomas Heatherwick transformed a symbolic building in Cape Town, a Grain Silo Complex built in the ’20s, into a contemporary art museum. 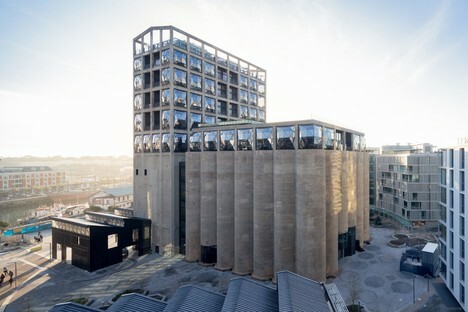 MOCAA stands for Museum of Contemporary Art Africa, the world’s biggest museum of contemporary African art. The architect has managed to create exhibition spaces and galleries out of the beehive structure of the former grain silos, preserving part of the original building as important testimony of its history. The top six floors of the building contain a five-star hotel.